Our business cycles start and end with money, so it’s essential to move cash efficiently. Here’s what you need to know about the fundamental tools of cash management and the advanced tools that can help you make the most of every dollar. Money can be a real devil, but it keeps us in business. It pays our suppliers and our employees, and puts food on our tables. 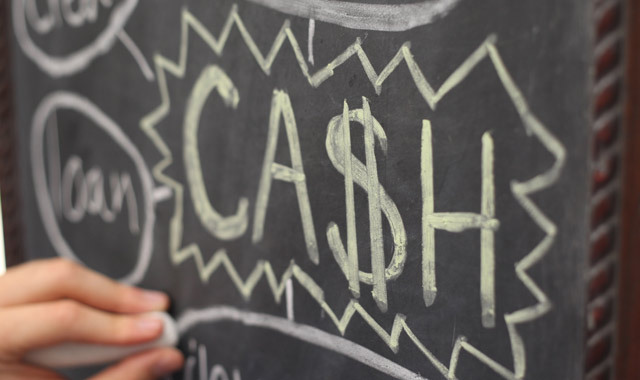 Successful entrepreneurs know that managing cash is an essential part of the daily ins and outs of business, but surprisingly, cash management is an often-overlooked component. In today’s rocky economy, it’s essential to know what’s coming in, what’s going out, and how you’ll bridge the gaps. Northwest Quarterly Magazine asked local professionals to share how the basic tools of cash management can help your business stay afloat in the choppy waters of today’s economy. Let’s head back to school and learn some fundamental tools for keeping track of your cash. Strong communication between a business owner and a banker is the first step in cash management. “We start by communicating with our clients, understanding what their cash needs are, understanding what their business cycles are, the uses of cash, the sources of cash. That helps us put together a solution for them,” says Jodi Ariss, cash management specialist for STC Capital Bank, 460 S. First St., St. Charles. Once she understands a client’s goals, Ariss can suggest appropriate types of credit lines, checking accounts and other financial tools. Much depends upon how money will flow. Ariss recommends establishing constant cash forecasts and estimating account balances over the next year in 30-day, 90-day, six-month and 12-month increments. Checking and Savings Accounts: A convenient, insured place to store your cash. Some accounts come with special perks or tools. There’s no sense leaving money under the mattress. Banks offer a variety of checking accounts tailored to business customers, and because every dollar up to $250,000 is backed by the government’s Federal Deposit Insurance Corporation (FDIC), there’s no risk involved. The most basic business checking account, ideal for small and mid-sized businesses, allows customers to write and deposit checks, and access online banking; it often comes without minimum balance requirements. On the other end of the spectrum, the corporate checking account comes with complex online tools and streamlines wire transfers or direct deposit payroll. Corporate accounts may also come with an “earnings credit,” similar to an interest rate, that helps to offset account maintenance fees. At STC Capital, the most popular option is the remote business checking account, a basic checking account with extra features. Its main attraction is the digital scanner, which enables customers to scan, process and deposit checks from their own offices. Once scanned, a check is processed entirely online. No more lunchtime trips to the bank. Some companies also match their checking account with a zero balance account (ZBA), a tool that aids bookkeeping and fraud prevention – and maximizes the cash in your operational account. With a ZBA, customers establish one account for the operational funds and a separate account exclusively for payroll. This latter account remains constantly at zero balance; when funds are deducted, the balance is pulled from the operating account. In the case of identity theft or fraud, a ZBA can be shut down and quickly re-established, without losing any of the automatic payments attributed to the operating fund. Line of Credit: Like a credit card, this tool offers small loans to a business owner, when cash is short. Usually comes with an interest rate. A line of credit is most effective when used to “bridge the gap” between payables (cash out) and receivables (cash in). Avoid the temptation of using that line of credit for long-term expenses – say, new equipment – and use it instead for small, short-term expenses, Ariss advises. Ideally, your line of credit increases when your bills are paid and decreases when your customers pay you. Because it’s a loan and carries an interest rate, the line must be paid, and large tabs carry larger expenses. To help pay down existing debt on the line of credit, some banks, like STC Capital, carry “sweep accounts” that automatically pay down the line, to decrease interest payments. SBA 504 Loan: A tool of the federal Small Business Administration (SBA), this loan product offers special financing and payment deals on items including building purchases, renovations, new equipment and debt refinancing. One of the most popular loan options today, SBA 504 combines traditional bank financing with government-backed lending. Available primarily for fixed assets – equipment, real estate – this product allows clients to put down just 10 percent, and lock in long-term loans for low interest rates. A special add-on to the program also allows refinancing on commercial mortgages through late September. Banks and the SBA offer a variety of other small-business loans, but what products – loans, accounts and otherwise – are best for your business? It depends on your goals. Crystal Lake Bank & Trust, 70 N. Williams St., is a bit of a paradox. As part of Wintrust Financial’s Chicagoland network of 15 sister banks, this community bank manages eight locations and four affiliates. Crystal Lake Bank offers many of those big-bank services, yet maintains a small-bank appeal. For the past 12 years, Tiffany Umbarger has grown with the bank’s technology and treasury management services, troubleshooting cash management strategies and fraud prevention tools for Crystal Lake Bank and its affiliates in Algonquin, Cary and McHenry. When opening new accounts, Umbarger wants to see a dedicated business plan, some professional advice and a few business goals. Then, it’s time to talk cash management. For example, a manufacturer may be interested in electronic payment services that allow customers to pay lump-sum invoices. That’s not a viable solution, though, for a doctor, who’s more likely to need a check scanner for processing copayments. Thanks to Wintrust’s network, Umbarger’s clients find a robust menu of products and services. Here are a few of the more complex cash management tools, with some suggestions for making them work. Money Market Savings Account: A hybrid of checking and savings accounts, this tool offers limited access to an interest-bearing account. Money markets are a safe way to set aside cash and earn interest. Customers are limited to just six withdrawals from this account per month, earning a tiered interest rate that depends on the account balance; everything up to $250,000 is FDIC-insured. When using a money market account, Umbarger says, pay attention to your cash flow projections. Online Banking: Electronic, Internet-driven tools that enable bank customers to access account information, electronic payments and more, via computer. Online banking carries account monitoring tools, up-to-the-minute balances and extra perks. It’s convenient, secure and helps to reduce fraudulent activity. It also carries a bunch of extras that make life easier for businesses. If you’ve ever seen “ACH” appear on your statements, it’s a reference to an automatic clearinghouse, a third-party system that electronically transfers money to and from accounts. It’s most often used for direct deposit payroll, and requires some basic credit information to get started. Wintrust has also introduced the new iBusiness Credit Manager, an online tool suite that helps companies to set payment terms with customers. Especially geared toward business-to-business clients, this tool uses several databases to create a “rating” – not a credit report – that shows the reliability of payment. Even better, it contains tools to help with collections, when customers don’t pay up. Positive pay, a popular online banking tool, can effectively reduce or eliminate fraud. Through accounting software, a company notes what checks are written, to whom they’re written and for how much they’re written. That information is uploaded to the bank and compared with every check that’s cashed. Users can even filter or block payments, with some simple parameters. The most popular filter is positive pay. Umbarger has spent most of her 12 years at Crystal Lake Bank dealing with identity theft and fraud. She can smell fraud like a stinky gym sock, and she’s confident of the safeguards placed in online banking. Still, she advises clients to review accounts routinely. Wealth Management: A hybrid of banking and investing, a professional wealth management adviser connects clients with additional tools for investing extra cash. Especially useful for high net worth individuals. Outside the realm of traditional banking products, wealth management includes stocks, bonds, annuities, money market funds and non-bank investment products, in addition to trust and estate administration, says Umbarger. Wealth management often carries greater risk, because its menu is seldom covered by FDIC insurance. For some businesses, Wintrust’s MaxSafe program can stash extra cash in a series of cash deposits (CD). Through the program, a business or individual can max out at $3.75 million, all in FDIC-insured funds. The program automatically distributes funds through Wintrust’s 15 bank charters and displays just one account statement. Lockbox: Incoming bills are sent to a post office box and are processed and deposited by the bank. For Umbarger’s municipal customers, lockbox is a perfect arrangement, because the bank processes the hundreds of local water, sewer and other payments for the municipality. It’s especially efficient for businesses that deal with small-dollar/high-volume payments or high-dollar/low-volume payments. Pat Kinnare-Musachio is always looking toward the future. An investment adviser for Kinnare & Associates Financial Consultants LLC, 1701 Woodfield Road, Schaumburg, Kinnare-Musachio is widely trained in banking, insurance and securities, which gives her a unique perspective on income assets. She encourages clients to have similarly in-depth insights into their businesses. After all, cash management isn’t so unlike household finances. Cash forecasts must include 12-24 months’ worth of analysis, she says. Factor in your current debt, and expect that costs will rise, whether from taxation, inflation or health care. At the same time, consider the unknowns. If you have extra cash, set aside a reserve fund for those surprise expenses. This is the “under-the-mattress” fund, a simple 1 or 2 percent of your annual budget. If, at this point, you still have leftover cash, then it’s time to talk about investments, says Kinnare-Musachio, who specializes in income portfolios. Ideally, you’ll preserve your principal, using only what the portfolio creates. If it earns just $100 in its first year, that’s all you should take. Remember, there is risk involved. Don’t gamble with your operational budget, she warns. Here are some key tools for income portfolios. Stocks: A type of ownership in a company, signifying a stake on profits. Traded on markets such as New York Stock Exchange and NASDAQ. Prices will follow market trends, and dividends will accrue over time. Buy a stock and hold it for a minimum of two years, says Kinnare-Musachio, though she routinely waits four or five years. Bonds: A certificate of debt owed by a public or private entity. Bears interest, and is often used to finance roads, bridges, infrastructure, equipment or business expansion. Like stocks, bonds are traded and prices will fluctuate. Hold a bond until maturity, says Kinnare-Musachio, and you’re guaranteed an interest payment on top of your principal. Exchange-Traded Fund (ETF): Highly liquid, this collection of assets is traded much like a stock or bond, and is redeemable at any time. Kinnare-Musachio values ETFs for their liquidity. While bonds and stocks tend to be long-term investments, ETFs are redeemable at any time. What’s a good return in the world of investments? That all depends on your company’s goals. Kinnare-Musachio shoots for at least a 4 percent return. But to some extent, it goes back to your financial forecast. How soon do you need the money, and how do you plan to use it? Even in cash management, it’s true that no plan survives the first shot of war. That’s why it pays to be prepared. At STC Capital Bank, Ariss sees more customers filling in the gap between payables and receivables, because their customers and suppliers are adjusting payment schedules. While some payment schedules may seem attractive, they can have far-reaching effects on the business cycle. For Umbarger, it boils down to risk tolerance. Some companies are just more flexible than others. Election-year volatility makes some investors nervous. Because the presidential candidates and their parties have such different platforms, it will take a few months to see what changes are ahead. Even so, Ariss’ clients remain focused on the bottom line. While some sit out, others are going full steam ahead. Umbarger sees a similar optimism among business owners. Bankers agree: their community banks are ready to help. The devil’s just in the details. This entry was posted on Tuesday, September 25th, 2012 at 12:00 pm	and is filed under Northwest Business Magazine, Top Posts. You can follow any responses to this entry through the RSS 2.0 feed. Both comments and pings are currently closed.